13 | January | 2014 | Watts Up With That? January 13, 2014 in Climate sensitivity. January 13, 2014 in The Weather Channel. January 13, 2014 in Climate ugliness. Dumbest climate activist statement, evar! January 13, 2014 in Alarmism, GLOC, Ridiculae. 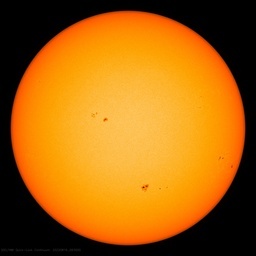 New study claims low solar activity caused "the pause" in global temperature – but AGW will return! January 13, 2014 in Climate News, ENSO, Hiatus in Global Warming, Peer review, Science, Solar. January 13, 2014 in The "Clitanic" aka Spirit of Mawson. January 13, 2014 in Climate News, media, Vortex, Weather. January 13, 2014 in Climate News Roundup.